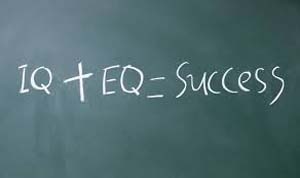 The balance of IQ vs EQ, is it necessary? I was recently in attendance at a Non-Executive Directors panel and evening, discussing the big debate over IQ vs. EQ, whilst I enjoyed hearing the collaborative panel, I really enjoyed the final summary around the facts from a Chief Business Analyst at a ranked Business School, the facts are and without a showdown of a doubt business has lacked in leadership, the statistics speak for themselves, but why? I completed a TV interview a few years ago where I spoke on The Emotional Wake of Transformation. People in leadership love the title but can they really deliver the skills? If this is the case, what is the cost to the business without the right leadership? Einstein, Plato, and Da Vinci are some notable personalities known to have an IQ of over 160. Evidently, they are truly geniuses in their respective fields. But does having a high IQ guarantee a one-way journey to success? Take an example a company middle manager with a high emotional intelligence quotient (EQ). As such, he is more than capable to recognise his emotions and those of others around him; his communication style is intuitive, motivational, and engaging; and he naturally uses empathy, as well as creative and emotive language – such as “I feel” and “I wish” – in his emails and office pep talks to make a connection with his staff. His company director, meanwhile, employs a direct, no-frills communication method. She requires “only the facts” and thrives on logic, and her preferred head-over-heart method of communication is sparse and to the point. Hers is a high IQ (intelligence quotient) functioning approach, which tends toward the cognitive, intellectual, analytical, and rational. Two different people, two varying communications, contrasting styles. And this is where a difficulty can arise in business because while both are shooting at the same goal, they might as well be playing for different teams. As a result, the directors can suffer an awkward breakdown in communications, simply because they are not operating on each other’s wavelengths. Worse, their clash of cultures could have an impact on their working relationship. Of course, a controversial IQ/EQ friction is not simply restricted to the office because it can also be an issue in the wider business world, for example when an EQ-driven director meets IQ-driven customers, prospective clients, or peers and fails to make a connection with them. It may even be a contributing factor in his company not winning a lucrative contract. Either way, be it an internal or external IQ/EQ conflict, it has the potential to hamper good business, or turn good business bad. Demonstrating the right balance is fundamental for the success of a business, that means putting the right processes into place that accelerate a balance of IQ and EQ, the future of every business is dependent upon it! Seek opportunities to demonstrate that you can add value within the business by getting actively involved in a diverse range of projects. It’s important to be able to show your achievements beyond delivering accurate and timely work. Get as much practice as you can attending meetings or contributing to team initiatives. Many directors/ professionals see themselves as introverts and don’t want to ‘put themselves out there.’ In reality introverts are often excellent communicators because they are good listeners – the most important attribute for empathising well with others. Bolster the skills that are holding you back. Instead of adding another technical degree or certification to your resume, think about developing the soft skills that will boost your EQ. Go beyond the numbers to think about the impact your work has on different aspects of the business and the people who do those jobs. What insights can you give the sales team to help them sell more or make more profitable sales? If you think and communicate from a broader commercial perspective, you’ll soon get the attention of management. So, simply put (because I can\’t stand it any other way! ), the cited example for me demonstrates a core flaw on the part of the director with all the IQ brains. That is, with all of that IQ and problem solving capability, shouldn\’t this Leader be able solve for the described dichotomy? Put another way, the Director can\’t lead until until she takes a step back and gains an appreciation for how the Middle Manager \’connects\’ and embraces some of that talent for herself. 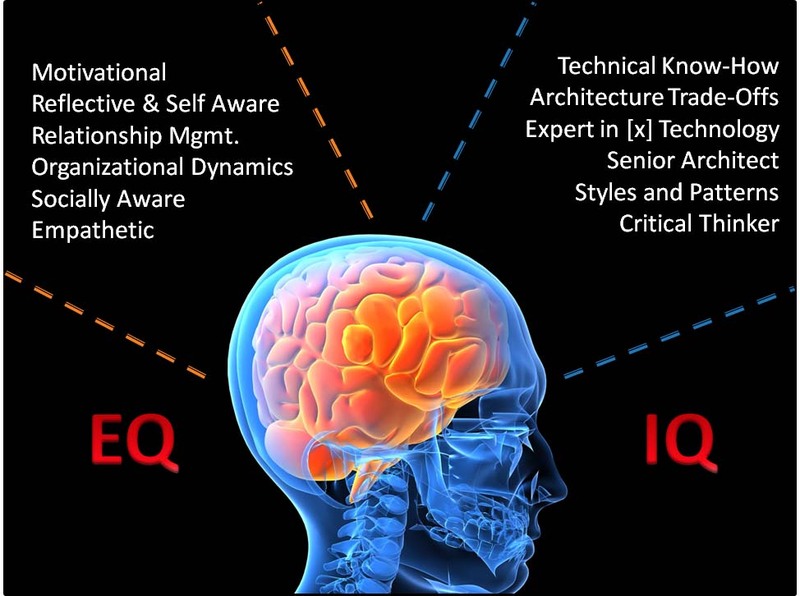 So EQ is Emotional Intelligence Quotient? Previous PostPrevious Organic vs Acquisition Growth?